The Atlanta Bar Association Summer Law Internship Program (SLIP) offers summer opportunities to Atlanta area high school students who are interested in learning more about the legal profession. Founded in 1993, SLIP was designed to achieve three goals: (1) to provide valuable work experience; (2) to further students' understanding of the law; and (3) to promote mentor relationships with the Atlanta legal community. We are grateful for your interest in the 2019 Atlanta Bar Association Summer Law Internship Program. We had a terrific time conducting interviews! We are delighted we have approximately 100 applicants this year. This group of applicants is very impressive. Announcements of 2019 selected Interns will be made on our SLIP Blog on or before May 8, 2019. If you decide to pursue another opportunity prior to May 8, 2019 please let us know. We wish we had a spot for everyone. We do not unfortunately. We expect to have approximately 50 internships to make available this year. We have 11 applicants who interned previously. For those not selected if you have continuing interest please ask to be placed on our waiting list. If you are a Junior and you are not selected, please consider applying again next year. Preference is given to returning applicants. Please see the link below to the 2019 Atlanta Bar Association Summer Law Internship Program. All application materials are due on or before March 28, 2019. We are grateful for your interest in the 2019 Internship Program! This is a rigorous, all in program. Please note if you have any conflicts during the period of May 29, 2019 to July 19, 2019, you should not apply. We traditionally have significantly more applicants last year than available spots. Absences for study abroad programs, family reunions, sports competitions, graduation trips, long weekends and the like are not allowed. You are all in or you are not. Freshmen and Sophomores, Classes of 2021 and 2022, are ineligible to apply. 1. The Summer of 2019 will be the twenty-seventh (27th) straight Summer the Atlanta Bar Association will conduct its Summer Law Internship Program for High School Students. Applications are now available (scroll down). Completed applications must be emailed or postmarked by Thursday, March 28, 2019. 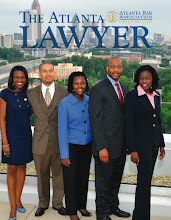 For additional information, please also see our Facebook page at: Atlanta Bar Association Summer Law Internship Program. 2. We so wish we had a spot for every applicant. Unfortunately, however, spots are limited. We hope to have 40 internships available in 2019. If you are not selected this year, we welcome you to apply next year. During the Summer Law Internship Program's first twenty-six years over 735 paid Internships have been made available to Atlanta's youth. 3. The 2019 Summer Law Internship Program will run from May 29, 2019 to July 19, 2019. There will be four mandatory orientations tentatively scheduled for Wednesday, May 29; Friday, May 31; Monday, June 3; and Friday, June 7. The pay will be $1,950.00 (total) for the six weeks ($325.00 per week). If you Intern at a law firm or corporation you will be paid a stipend by your host. 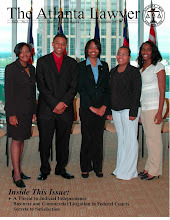 If you are a Public Intern your internship is sponsored and you will be paid a stipend by the Atlanta Bar Foundation. 6. Only students who are members of the classes of 2019 and 2020 are eligible to apply. Freshmen and Sophomores, Classes of 2021 and 2022, are ineligible to apply. 7. Each applicant will be required to participate in an in-person interview at the Atlanta Bar Association's office. We tentatively anticipate conducting interviews on Wednesday, April 17, 2019. Please check the Intern website for possible changes. You are required to be appropriately attired (professional). More detailed information will be provided on the Intern Program's website (www.abaslip.blogspot.com.) As we will have a large number of students to interview, please bring something to occupy yourself while you wait, i.e. homework, a book, etc.! 8. Each year we have a Kick-Off Breakfast at the beginning of the program for Interns and hosts. We expect the 2019 Kick-Off Breakfast will be on Friday, June 14, 2019 at 7:30 a.m.
9. If you have a conflict (i.e., study abroad, educational trips, sports competitions, leadership camps, etc.) during the period of May 29 – July 19, 2019, you should not apply. 10. At the end of the Intern Program we have an Intern Appreciation Breakfast, Hosts and the Interns’ families. The 2019 Appreciation Breakfast has yet to be scheduled but is typically the last day of the program, projected to be Friday, July 19, 2019, at 7:30 a.m.
11. Potential interns who are graduating this coming Spring (Class of 2019) must schedule any college orientation so it does not conflict with the Intern Program. 12. We will have mandatory Weekly All Intern Meetings (AIM) during the Internship Program at 5:30 p.m. on dates to be determined. These AIMs are not optional and cannot be missed due to, for example, sports, games or practices, summer work outs, second jobs, babysitting, family birthdays, or the like. Usually, they are in the middle of the week, on Wednesday. We will typically have a guest speaker each week. During our weekly meetings we will regularly have Progress Tests to assess your knowledge of what you are learning. Failure to be prepared for these AIMs will subject you to being released from the Intern Program. 13. In addition to the important work component to this program there is also an educational component. We will study topical legal issues. Interns will have written "Enrichment" each week during the program that should not take more than thirty minutes to an hour to complete. You are required to do your own work. In addition, Interns will be required to do a 750 word typed essay on a United States Supreme Court decision as part of the annual Terrence Croft Essay Competition. 14. If you are selected, you are required to be responsible, accountable and professional at all times and in everything you do. 15. We have had applicants from as far North as Forsyth County and as far South as Henry County. As the internships are primarily located inside the Perimeter, with a heavy concentration in Downtown and Midtown Atlanta, you may have a lengthy commute depending on where you live. The Internship Program does not reimburse commuting expenses. 16. There is a Dress and Grooming Code that will be required to be followed or you will be subject to being released from the Internship Program. 17. The Internship Program is not for every student. Over the years Interns have been released early from the Internship Program or are not invited to reapply for: not being prepared, not being on time, being unprofessional, improper attire and/or lack of maturity. 18. We will expect your best in everything you do and you should demand no less of yourself. 19. If you give less than your best, or do not follow the rules, or fail to prepare for an Orientation or an AIM, or perform unacceptably on a Progress Test, or find it more important to be on your phone, or have anything less than a great attitude, or are rude or disrespectful to a fellow Intern, you will be released from the Summer Law Internship Program prior to its conclusion. 20. Students selected for the 2019 Intern Program will be posted on the website of the Atlanta Bar Association Summer Law Internship Program on Thursday, May 8 2019, by 8:00 p.m. (www.abaslip.blogspot.com.) If you decide you do not wish to be considered, please email Denisha Wise at dwise@atlantabar.org.